Happy International Women’s Day to all superwomen out there! This is your special day so walk down the street with your high heels and put on your best dress! Empower people around you with your positive vibes, spread kindness and teach others on how to be bold yet independent. 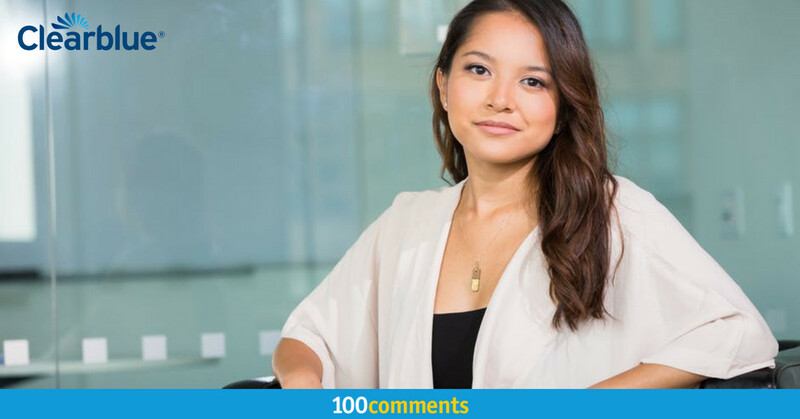 There is a classic idiom, “The hand that rocks the cradle rules the world” that emphasizes women have a decisive influence on the future direction of society through their children. But, let’s not to forget that it is important to care your hands too. 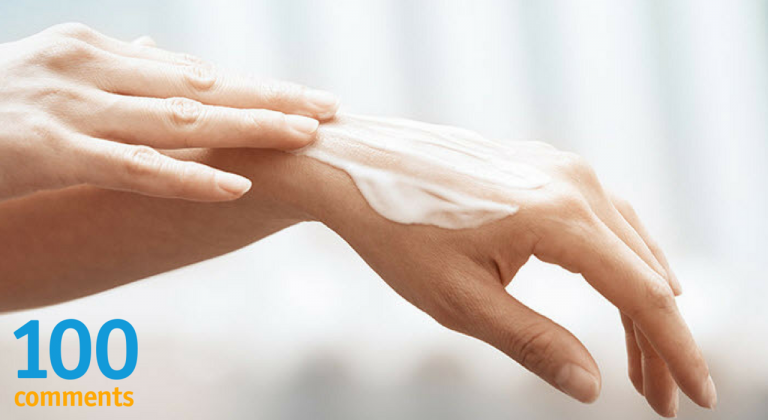 Nourish your hands with these 10 best scented hand creams. 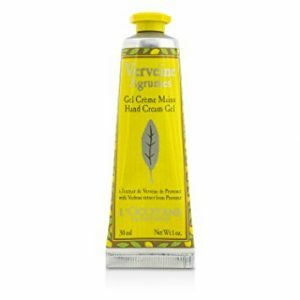 L’OCCITANE Citrus Verbena Hand Cream Gel is a fresh and light moisturizing hand cream. A very fresh and light citrus verbena hand cream gel that melts into the skin and thus helps refresh and moisturise your hands. This hand cream leaves your hands pleasantly scented with the sparkling and fruity notes of citrus fruits and verbena. It contains an extract of organic verbena from Provence, a high-quality ingredient infused in this tube, lemon essential oil and grapefruit extract from Italy. A great hand cream packed with quality ingredients to nourish your delicate hands. Read reviews about L’OCCITANE Citrus Verbena Hand Cream Gel here. A sweet strawberry scented hand cream for daily usage. The Body Shop Strawberry Hand Cream helps soften and protect hands with a light and juicy moisture. The strawberry fragrance is loved by everyone for its fruity and sugary scent that lather well on your skin. Once you apply this hand cream, it will immediately make you want to nibble it. The instantly absorbing formula is ideal for on-the-go hydration. 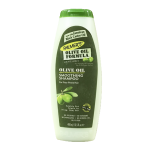 With non-greasy moisture and wonderfully light-gel cream formula. Click to know more about The Body Shop Strawberry Hand Cream. Mary Kay Peach Satin Hands Hand Cream is a part of the Peach Satin Hands Pampering Set which is an easy three-step system that helps keep hands feeling renewed, soothed and pampered. Your skin will look radiant after using this regimen as it provides 24-hour moisturization. The luxurious formula absorbs quickly into the skin and provides a protective layer on hands that lasts through several hand washing. This hand cream is clinically tested for skin irritancy and allergy as well as dermatologist-tested. Feel the sweet peach fragrance lingers on your hands. Read reviews about Mary Kay Peach Satin Hands Hand Cream. Jurlique Rose Hand Cream is a rich and protective hand cream with the relaxing scent of rose. This hand cream works best to restore smoothness and keep skin looking youthful than ever. It is deeply moisturising and restores smoothness thus leave hands feeling soft and supple. Not only that, it also provides lasting hydration and natural antioxidant properties for your skin. Perfect for women as it is infused with a delicate and subtle rose scent. Rose is known for a romantic fragrance that best describes women – romantic, soft and sweet. Click to know more about Jurlique Rose Hand Cream. A hand cream that is 3 times rosy to offer your hands new freshness and young, compact appearance even after hours of activities and frequent washing. This cream contains the tripe anti-oxidant strength of the precious extracts of Provence Rose, Peruvian Pepper and Hollyhock that will banish any reddening and dryness. Packed with excellent plant-derived ingredients such as Ceramides obtained from Soybean that is effectively enhanced the skin tissues to maintain their level of moisturisation by creating a skin barrier. This hand cream is non-greasy and quickly absorbed into the skin. Comes in a nice and beautiful pink tube packaging. 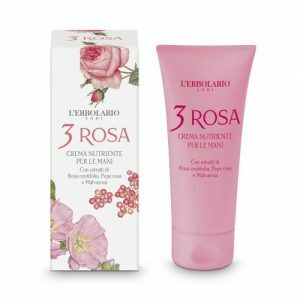 Read reviews about Lerbolario 3 Rosa Nourishing Hand Cream. Never thought that product from Watsons is really great yet affordable. Their product range is on the same par as other beauty brands and easy to purchase. Naturals by Watsons Paw Paw Hand Cream has an intense repairing effect on dry, cracked hands with a rich non-greasy formula especially to care for your delicate hands. Rich in papaya and other ingredients that are proven to be effective in keeping your hands smooth and supple. 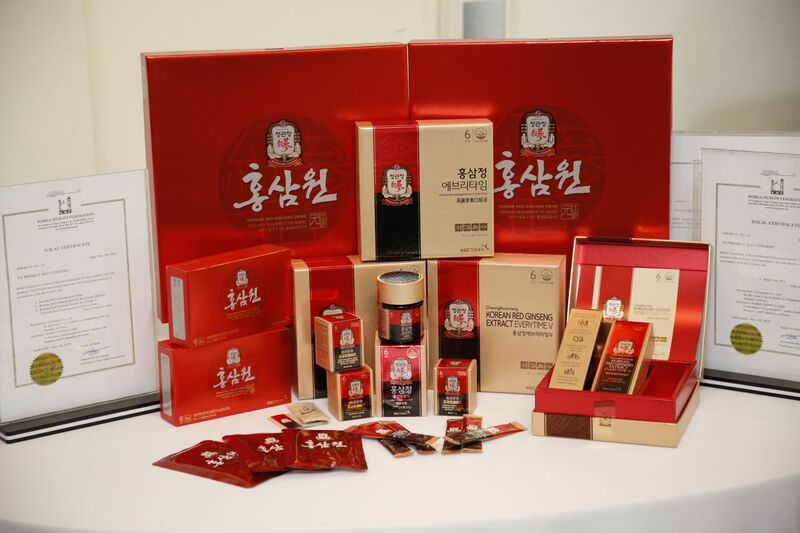 Besides, the packaging is nice and the size is handy and great for travelling. 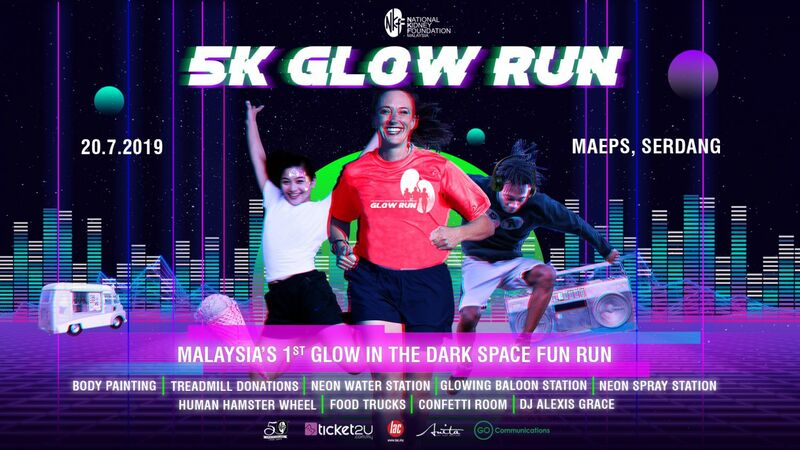 You can try this product by Watsons and share your thought about it. 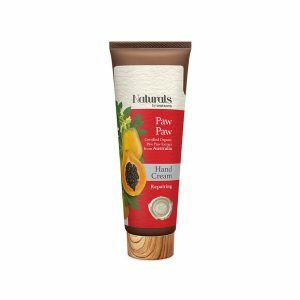 Click to know more about Naturals Watsons Paw Paw Hand Cream. Do you know that mango contains beta-carotene, which is converted by your body to vitamin A? Vitamin A is crucial to skin self-repair. Together with Papaya, this fruit is great to diminish scars as well as whitening your skin. I LOVE Mango & Papaya Hand Cream has both ingredients for your hands! Feel refreshed with a burst of juicy mango and succulent papaya. This incredible hand cream also contains coconut oil, shea butter to help your skin feeling gorgeously nourished and fabulously smooth. Wondering about the scent? This hand cream has a fruity and sweet scent to accompany you throughout the day. Read reviews I LOVE Mango & Papaya Hand Cream here. A combination of pure essential oils with skin-conditioning Jojoba, vitamin-rich Kukui Nut oil and soothing Chamomile extract to deeply moisturise and restore dry skin. This hand cream has a balancing refreshing Geranium, rejuvenating floral Orange Blossom and soothing soft Rose. The lavender blend is a soothing aromatherapy for your hands that gives such relaxing and nice aroma. 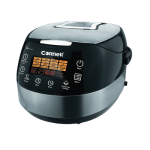 Packed with natural substances to care and nourish your hands and nails effectively. Apply this lotion after showering or when you are a bit tight to calm you down with the subtle aroma. 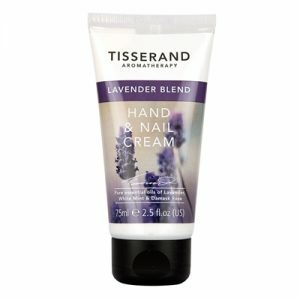 Click to know more about Tisserand Lavender Blend Hand & Nail Cream. Choonee is a proud product from Seoul, Korea specially created for young and urban women. Packed with a fresh Chamomile scent that hugs the skin gently. Care your hands and fingernails with this cream that has fast-moisturizing absorbing abilities. 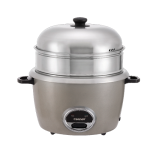 It has a fresh chamomile scent that is subtle yet soothing. 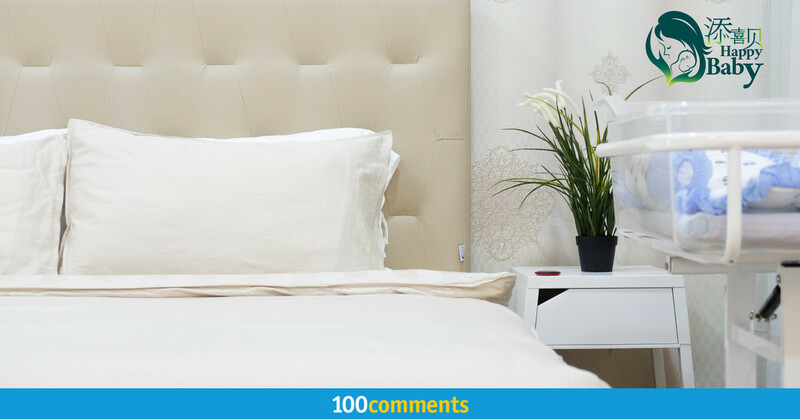 The milky-white colour leaves no greasy feeling and free from any artificial colour. It is dewy rich in nutrition creamy texture. 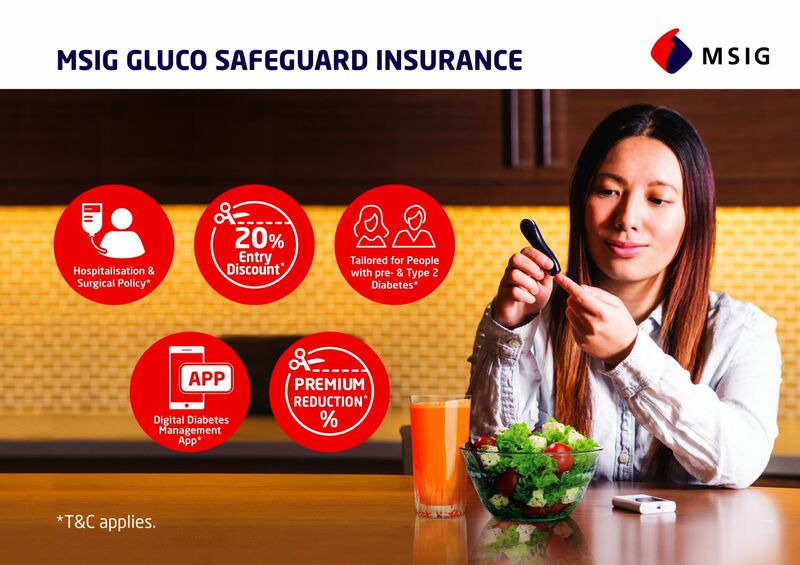 It is easy to apply and effective. 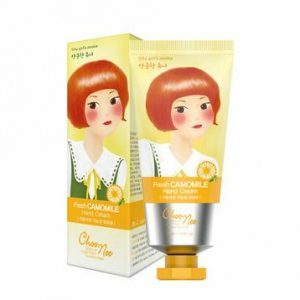 Read reviews about Choonee Fresh Chamomile Hand Cream here. 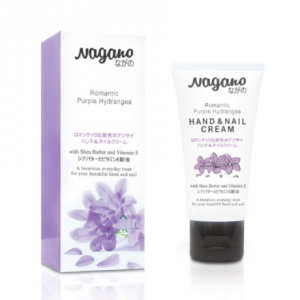 Nagano Romantic Purple Hydrangea Hand & Nail Cream is a luxurious everyday treat for your beautiful hand and nail. It is a rich and protective hand cream with the relaxing scent of Romantic Purple Hydrangea to leave your hand and nail feeling silky smooth, soft and luxuriously nourished for all day. A romantic purple hydrangea that is bust with flowery fragrance for you. Let the romantic, soft and subtle fragrance linger on your hands all day long. 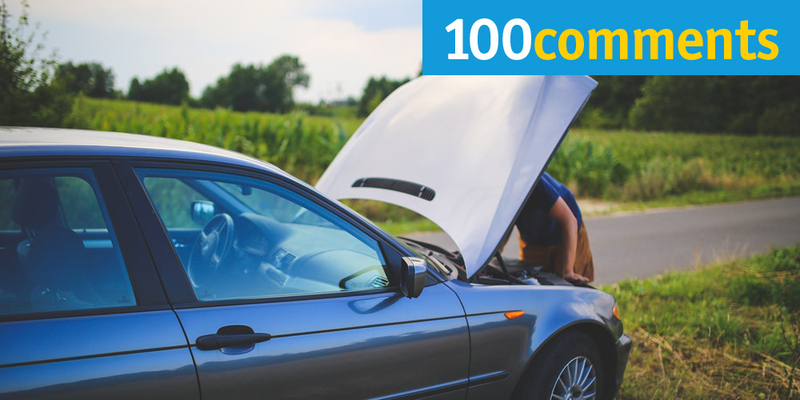 With a cap that is easy to open and close, thus making your experience using it easy. Click to know more about Nagano Romantic Purple Hydrangea Hand & Nail Cream.